Citroen realised that, to win sales in the ultra-competitive supermini arena, it needed more than price on its side. Citroen's original C3 had more than a whiff of the 2CV about it, with low-rent (if hard wearing) plastics inside and a drive that at best was described as 'adequate'. When the new car arrived in 2009 that all changed. Citroen realised that, to win sales in the ultra-competitive supermini arena, it needed more than price on its side. In came a smart new interior allied to attractive exterior looks, making the C3 a far more convincing alternative to the big-selling Opel Corsa, Ford Fiesta and Toyota Yaris. With Ford and Mazda covering the sportier side of the market, Toyota the sensible and Volkswagen's Polo the more expensive, the Citroen C3 cuts its own furrow. It's very obviously comfort orientated, the French firm doing what it does well and offering a supermini with supple suspension for soaking up poor road surfaces. That might make it a bit more bouncy and less agile than some rivals, but for the majority of buyers that's no bad thing. Smartly styled, it's a bit taller than most superminis, which is a boon if you or your passengers are on the tall side. The boot is a decent size, too, while the quality, fit and finish and materials in the C3's cabin are light years ahead of those in its predecessor. Light steering, an easy gearshift and good visibility all-round make it a useful car in town - the C3's natural habitat. Engine choices are very much centred around economy and emissions, the C3 faring very well against its competition. Emissions are low in all, the most recent 1.0-litre three-cylinder entry-level petrol unit emitting just 99g/km of CO2, while the 1.4 HDi diesel emitted 110g/km when introduced, that dropping to 89g/km in later models. Manual transmissions are the norm; Citroen's automatic is not the slickest shifting proposition. Trims include VT and VTR+ and myriad special editions. All come decently specified too, with central locking, electric windows and alloy wheels with most. Some add the large 'Zenith' panoramic windscreen to that list, which runs right up above the driver and front passenger's heads. The 1.1 petrol is a good buy, but the 1.4-litre 70hp HDi turbodiesel adds some real out-of-town ability to the C3. It's the one we'd go for, in VTR+ specification, as it has got all the basics covered, with a few little luxuries at the same time. 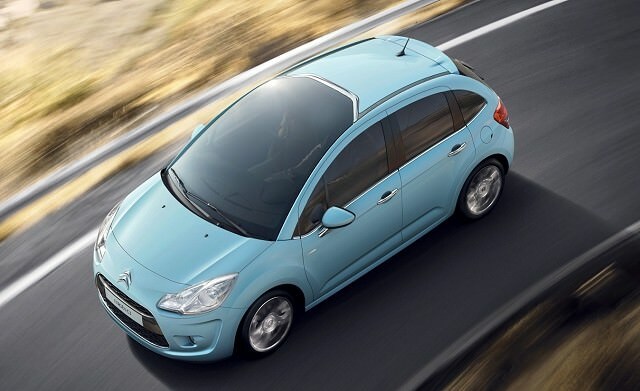 If comfort and space are greater priorities than outright driving thrills then the Citroen C3 is worth considering. It's economical and sensibly priced too, while standard equipment puts most rivals to shame - particularly at the bottom of the range. A worthy, good-looking alternative to the supermini norm.